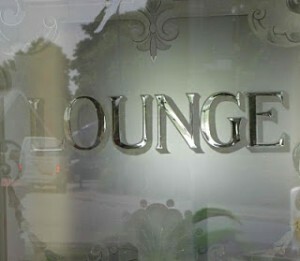 Acid etched glass is where the surface of the glass is eaten away by acid and it creates a translucent satin appearance. This lets through plenty of light whilst providing softening of images through the glass, obscuring objects while allowing light into the room. Acid etched glass is used as a way to decorate glass objects, the acid etched glass can be achieved by using an acid etching cream or acid etching liquid which is applied to the surface of the glass. Sometimes using a brush, freehand or stencils. The cream reacts with the surface of the glass leaving an effect which is frosted when the cream is removed. There is another more aggressive way of achieving acid etched glass; this is by using hydrofluoric acid, the result is similar but they hydrofluoric acid is more aggressive. The acid in itself is a dangerous chemical which is not only a highly corrosive liquid but highly toxic as well. This means the process tends to be more industrial but is desired by artists because acid etched glass is more deeply cut into the body of the glass. There are other methods of doing this today with sophisticated sandblasting and sand carving techniques. 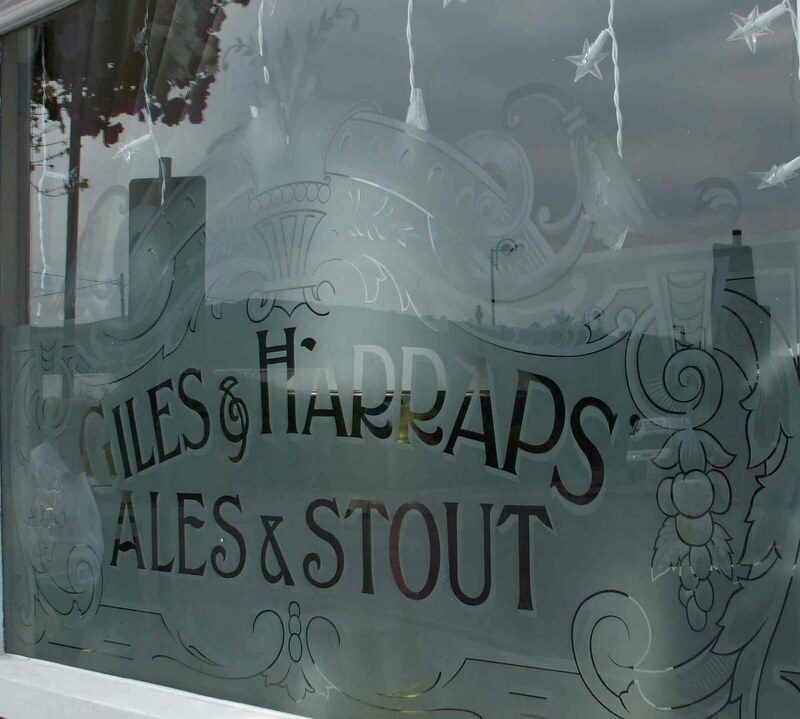 Some excellent examples of acid etched glass can be found in the windows of Cardiff and South Wales with many of the local pubs that were built in Victorian times using it as a way of identifying their ‘saloon bar’ or ‘public bar’ or ‘smoke room’. One of the best examples of this can be found at the Royal Oak pub in Ystrad Mynach where some fine examples exist. 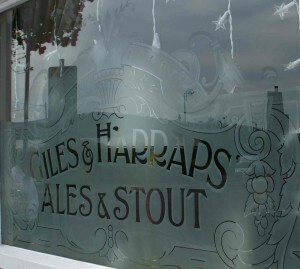 Built in 1945 by the Merthyr Tydfil-based brewery Giles and Harrap, their name is carved in the acid etched glass of the front window of the pub and other identifying writing can be seen on doors and windows of the pub. The acid etching successfully allows the identity and state of inebriation of the occupants to be obscured. Depends what kind of glass entihcg he was doing. There is acid entihcg which involves nasty chemicals and expensive screen print stuff. Wheel engraving which is traditional and highly skilled and I assume the equipment would be expensive because it’s specialized, but you can get a range of cut depths which gives beautiful images.You can use a special scribe so yo can almost draw’ on the glass, but to make an image is extremely time consuming, so is only for the ones with patience!I do a little bit of entihcg my self, andI use a hand helld electric rotary tool like a dremel. Prices vary but about c3‚c2a350 or c3‚c2a360 would suffice. You use diamond tipped burrs (often shaped ) to take the surface off the glass. I bought my diamond burrs in a set off ebay (make sure you know the shank width that will fit your drill) which are great and work well. Its not expensive. I also look for unusual glass in charity shops pitchers, vases, brandy glasses.You should be able to find a rotary drill of multi tool in a good DIY store hope this helps!